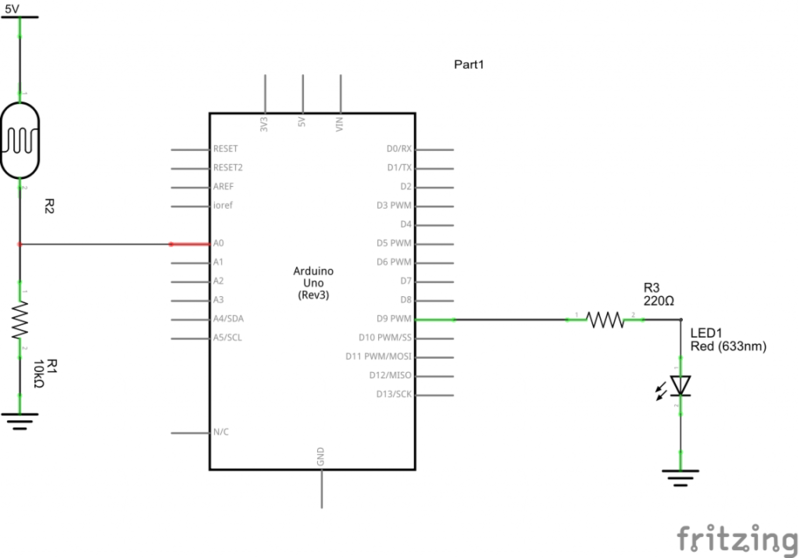 In this example we connect an LDR to analog 0 and depending on the value read in we then vary the brightness of an LED connected to Pin 9 using PWM. The input read from the analog pins will be in the range 0 to 1023. But the PWM function has a the width parameter ranging from 0 to 25 so in this case we use the map() function to convert the values ranging from 0-1023 to 0-255.